Publimetro: Michelle Obama may be the only person on Earth that Donald Trump won't attack. But why? Michelle Obama may be the only person on Earth that Donald Trump won't attack. But why? Last week, we found out that Donald Trump's wife, Melania Trump, is apparently a fan of Michelle Obama's. 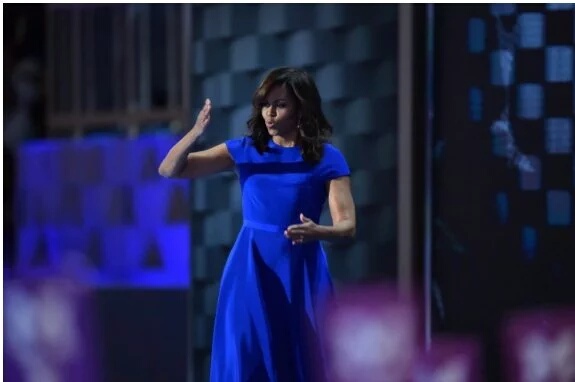 In explaining her inadvertent plagiarizing of the first lady's 2008 convention speech, Melania Trump's speechwriter said, "A person she has always liked is Michelle Obama." Is it possible that Melania Trump's husband agrees with her? As I noted last week, it's not that unusual for prospective or actual first ladies to say nice things about one another. There is something of a kinship, it seems, and they don't often get involved in the political sniping. But here's the thing: Obama has now delivered two speeches that were very tough on Donald Trump — albeit without mentioning him by name in either. There was one in an early June commencement speech and now on Monday night at the Democratic National Convention. Trump's response to each one has been silence. And indeed, despite Obama's status as a first lady many conservative Republicans love to hate, Trump doesn't appear to have ever really gone after her for anything, really. That's surprising from a guy who is nothing if not fond of doing things to stir up the GOP base. This is also a guy, mind you, who doesn't take incoming political fire without responding in kind. "I'm a counter-puncher," he has said repeatedly during this campaign. It's his explanation for many of his feuds. It's also not as though he's opposed to engaging in political fights with women. Rosie O'Donnell, Megyn Kelly, Carly Fiorina, Elizabeth Warren — the list goes on and on. And we all know how Trump feels about Obama's husband. And yet, even as he tweetstormed during the big speeches of the convention Monday night — especially during speeches by Warren, Cory Booker and Bernie Sanders — not a word about the first lady, even as she made a very forceful case against him in no uncertain terms. "I want someone with the proven strength to persevere," she said. "Someone who knows this job and takes it seriously. Someone who understands that the issues a president faces are not black and white and cannot be boiled down to 140 characters. Because when you have the nuclear codes at your fingertips and the military in your command, you can’t make snap decisions. You can't have a thin skin or a tendency to lash out. You need to be steady, and measured, and well-informed." "Donald Trump ranted about all the DNC speakers on Twitter — except one," Business Insider said. "There’s One Person Donald Trump Did Not Try to Mess With Last Night: Michelle Obama," Slate said. Some indeed painted it as Trump not wanting to pick a fight with a powerful and eloquent first lady who gave a fantastic speech. Trump has always been a fan of stirring up controversy and appealing to the GOP base's antipathy toward everything Obama — except, apparently, for Michelle Obama. Not yet, anyway.